6 Gallop Road. Renovated in 2000. 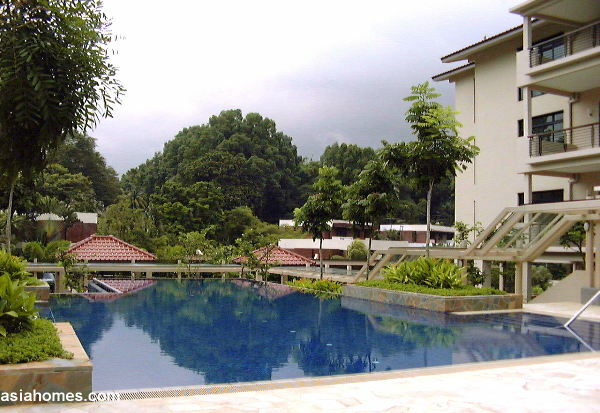 A most prestigious leafy residential enclave of millionaires with no high rise seen. A sprawling black and white bungalow rents above $25,000 in this location. Big balconies and tranquility, near nature. Big sundeck for sun lovers. Privacy. Low density. Low rise. 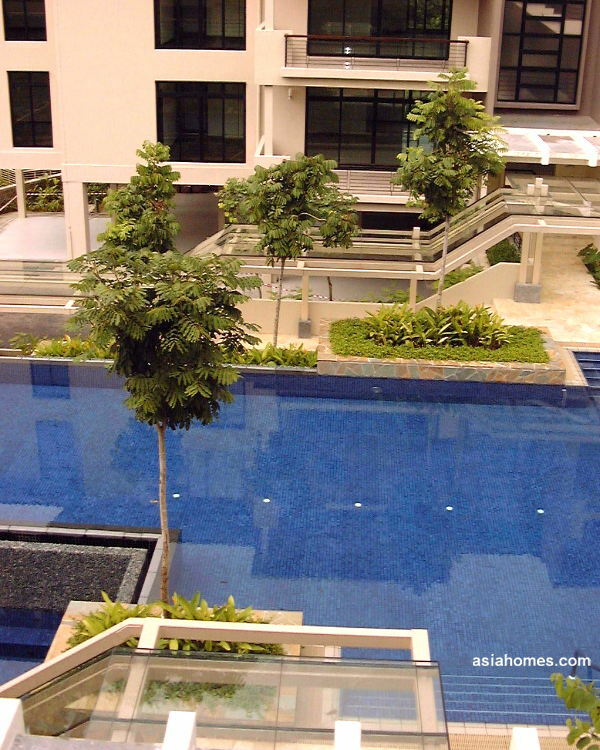 5-minute drive to Orchard Road and near the Botanic Gardens. Low rise 4-storey development and low density close to downtown. 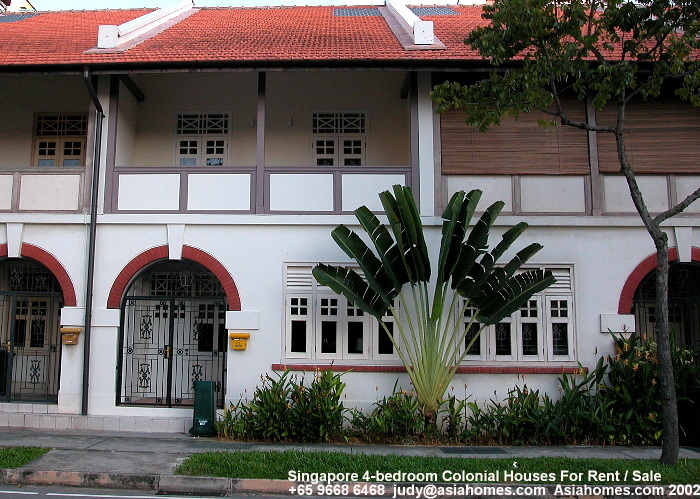 Expats may need a car as it is a 20-min walk to the main road (Napier or Bukit Timah Road). There is no lift in this walk up apartment. The living and dining areas are not marble tiled. However, the beige homogeneous tiles look like marble tiles. Living and dining - beige homogeneous tiles, not marble flooring. Bedrooms - parquet flooring. Master bathroom - white long bath tub. Walls are light pink ceramic tiles. FLOOR PLAN OF A 3-bedroom unit. The right unit is 2400 sq. ft and has a garden (called patio or private enclosed space). Covered car park at ground floor. Big balconies. The studio and some units have a garden. Lap pool, jacuzzi and generous children's playground area. 24-hour security. 5 visitors' car park. Each resident has one covered car parking lot. 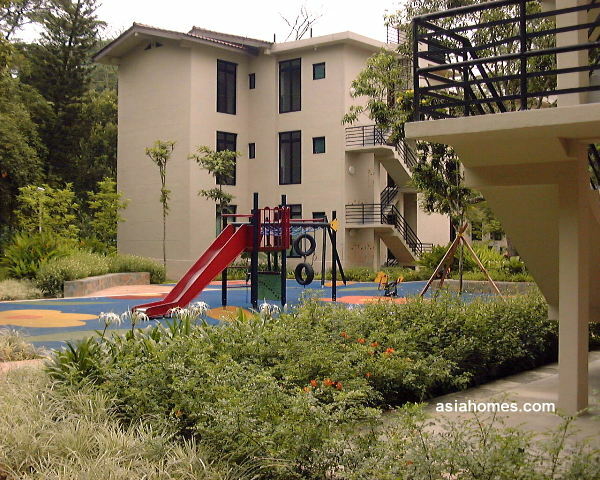 Prestigious location leafy neighbourhood, near downtown, tranquil and low density apartments. 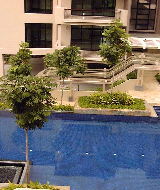 Advert by Realtor: Gallop Court 3+1 2051 sq ft, $9,500. Studio 1900 sq. ft . $4,500. Has 2 garden patios. 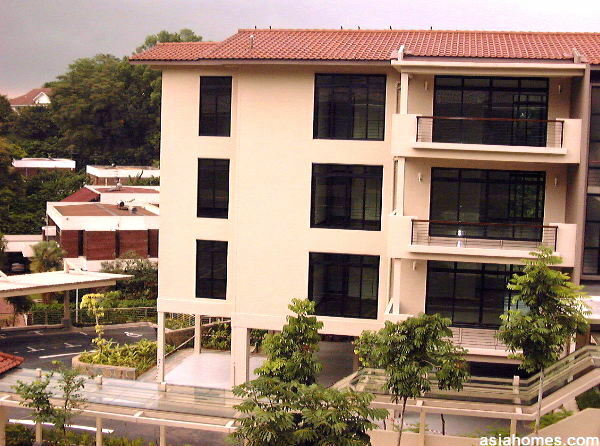 Rentals have gone up in 2011.